The Valley of Gressoney, more often known for its glaciers than for climbing activities, has a considerable potential in terms of quantity and variety of sites that are encountered along the entire length of the valley. 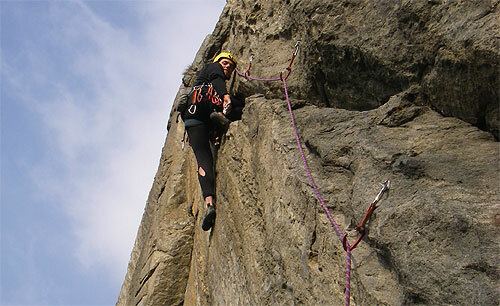 Below you will find the reports in printable pdf of all the crags and bouldering sites, constantly updated, as well as the information on the via ferrata and indoor climbing gyms. Be surprised by our rocks ... and join us in the wall! The Cube, La Planaz and rock climbing Gabriele Beuchod are accessible even during the winter season. The Gabiet and Canale dell�Aquila, also because of the approach that usually takes place in the cable car, are recommended during the summer season. All other sites are accessible usually from May to October.